The warmer weather is definitely bringing out all the insects so it's time to learn more about them! 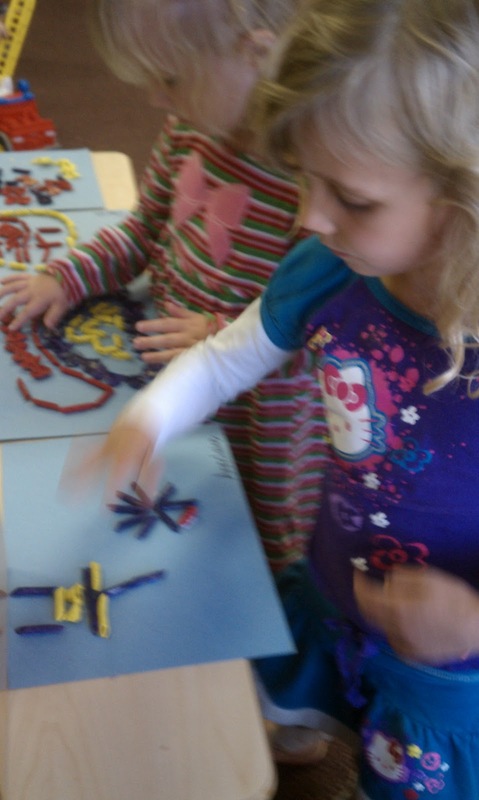 The children compared bugs to spiders to discover that bugs have only 6 legs while spiders have 8! They also talked about the different body parts of a bug. Of course, a fun game is always great while learning! Some of the classes played Bug Charades so that they could get a better understanding of how different bugs move and live. Our little 1 year olds learned the song "Bringing Home a Baby Bumble Bee". They absolutely loved it and had so much fun with the screams! During recess, everyone was on the lookout for bugs! We sure did chase a lot of them but never had any luck in catching them! 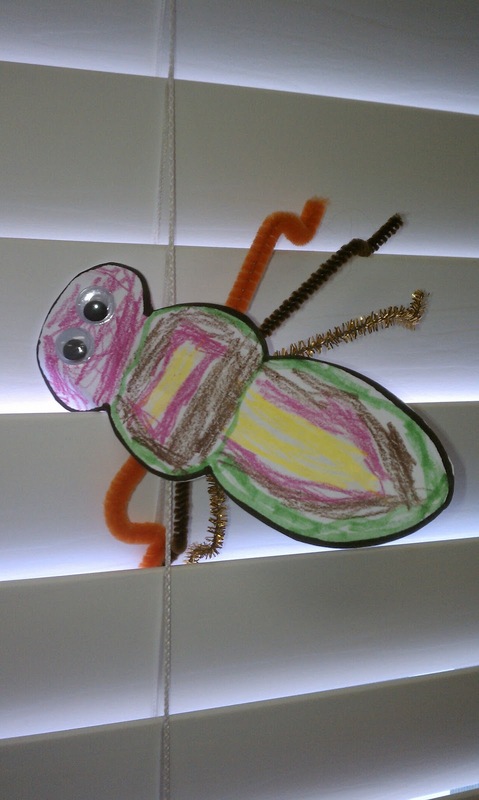 Bugs and insects also started popping up all over the school- ones we made of course! Our letter of the week was l so the children made "l is for ladybug". 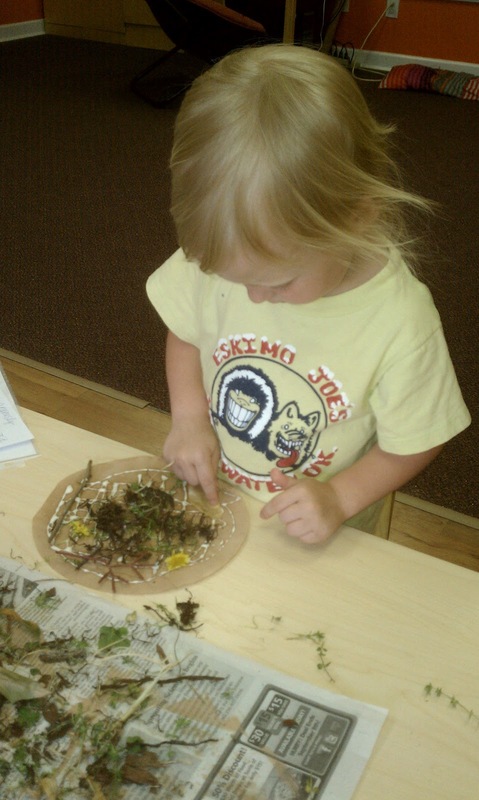 Even our cooking project was all about ladybugs! 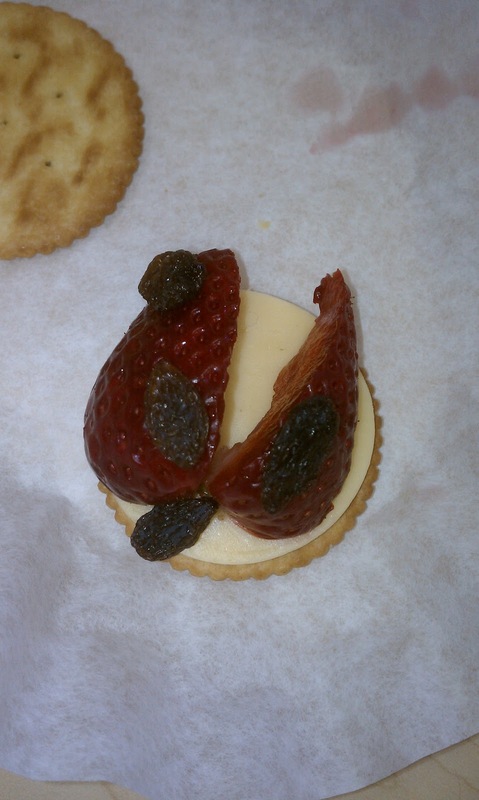 Our little chefs had to carefully create these adorable ladybug crackers to enjoy! Happy Earth Day! This week we talked about how important it is to take care of Earth and ways we can help. The children learned about recycling and also how to reuse items for another cause. the children added paper scraps to the box that could be recycled. For our science activity, some of the classes talked about water pollution. They took a bowl or water and then added other items to it. The water quickly became "dirty". Then they tried to clean the water but quickly found out how difficult it was to get the water back to "sparkly clean". 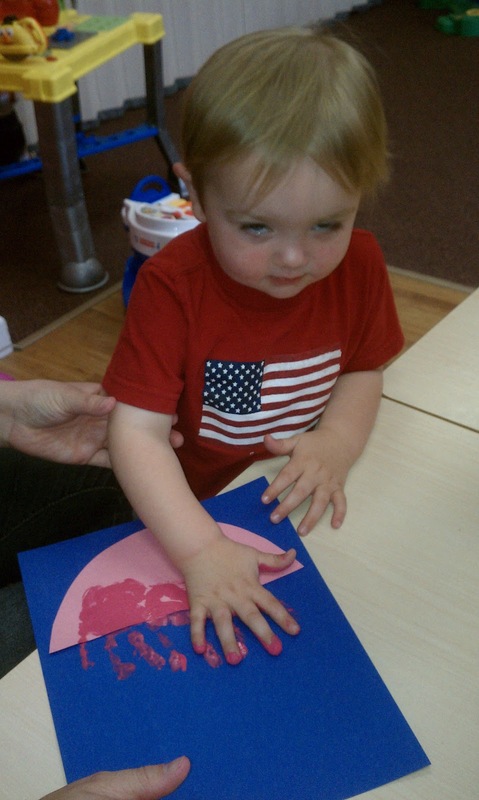 The Pre-K class spent a good amount of time talking about Earth and how it looks. They recreated Earth through two different projects. Each child even got to make their very own Earth! The children learned what the green and blue represent on Earth. 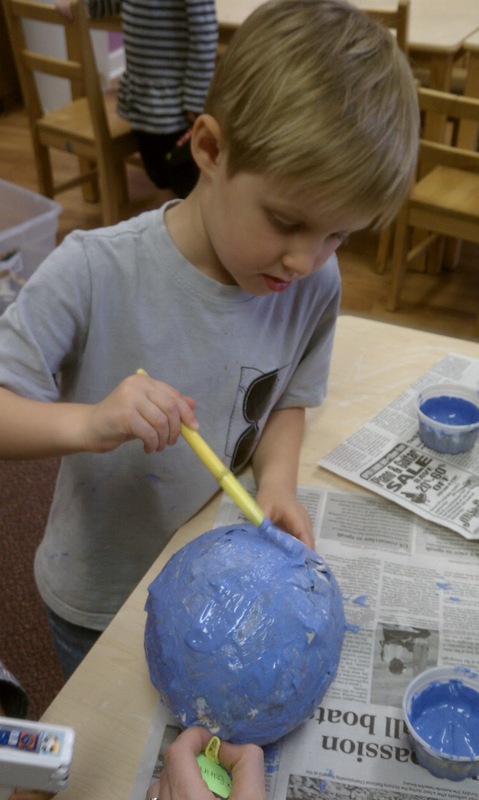 They did paper mache over a balloon and then painted it blue. Next, they added green tissue paper to represent the land. 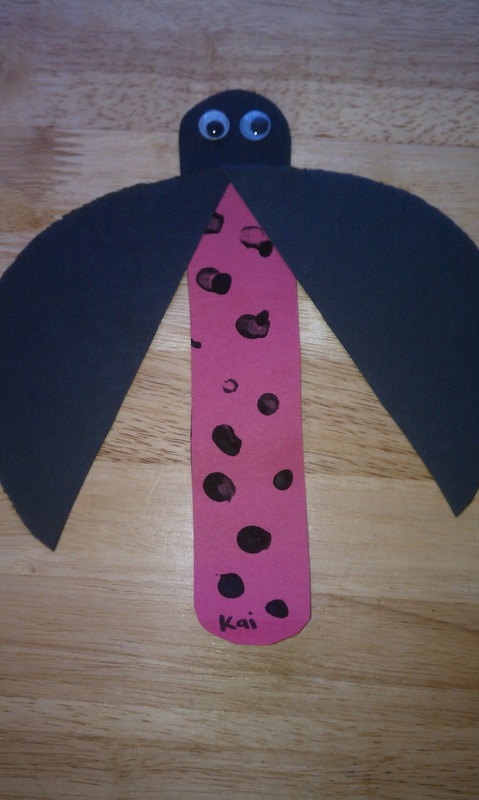 Our letter this week was "k" so the children made a k is for koala and also made Kid's Breadsticks as their cooking project. As you might could guess, these were a big hit! 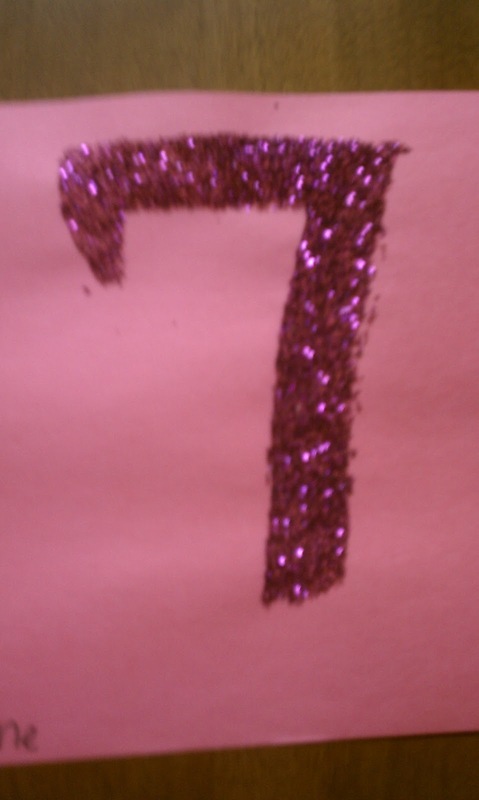 We also spent some time talking about our number of the week- 7. Of course, we also had to discuss the 7 seas! Do your part this week to protect Earth!!! With Spring finally here, it's time to learn about plants and flowers! The children sequenced the stages of the plant life cycle, talked about what plants need to grow, and also learned about the different parts of a flower. 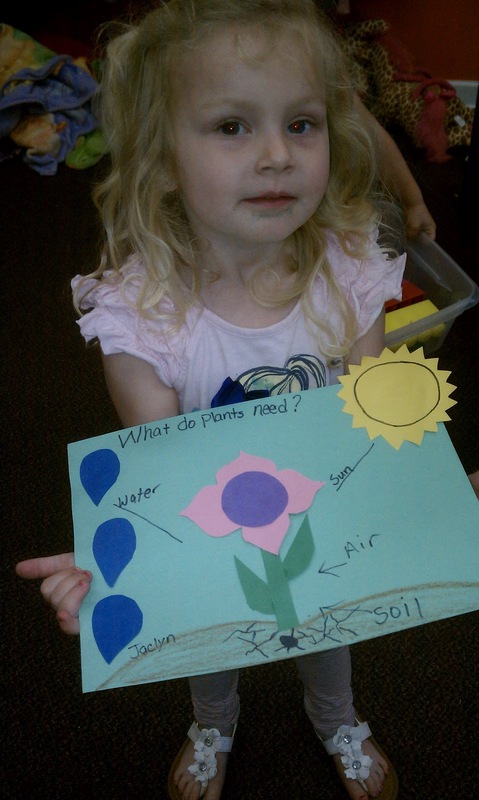 Beautiful artwork to show what plants need to grow! 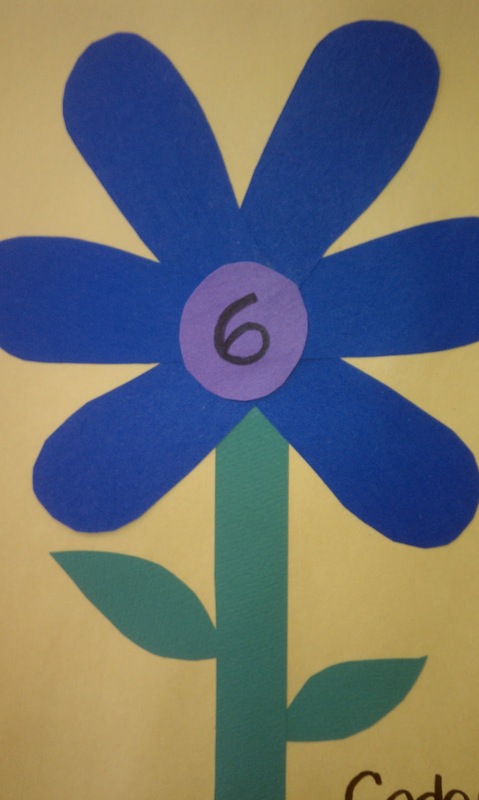 For a math activity, they put a certain number of petals around the center to make a flower. This gave them practice is counting and they turned out really cute! we practiced counting to 6! 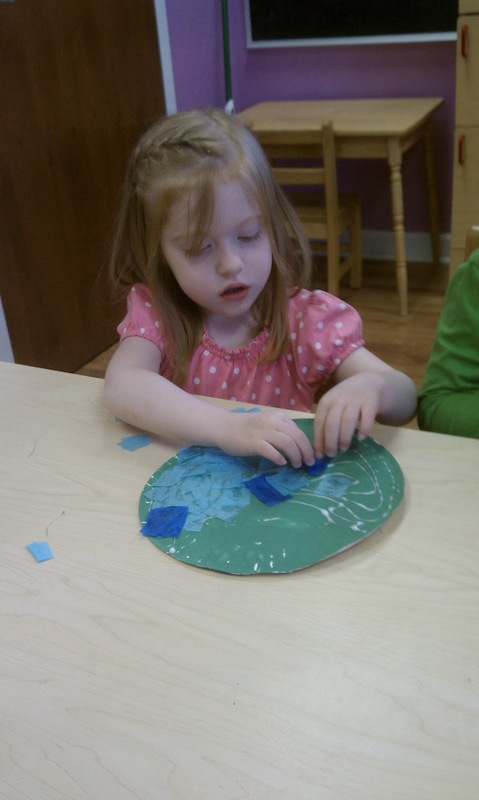 Our Pre-K class took uncooked pasta and painted it to make Noodle Flowers! 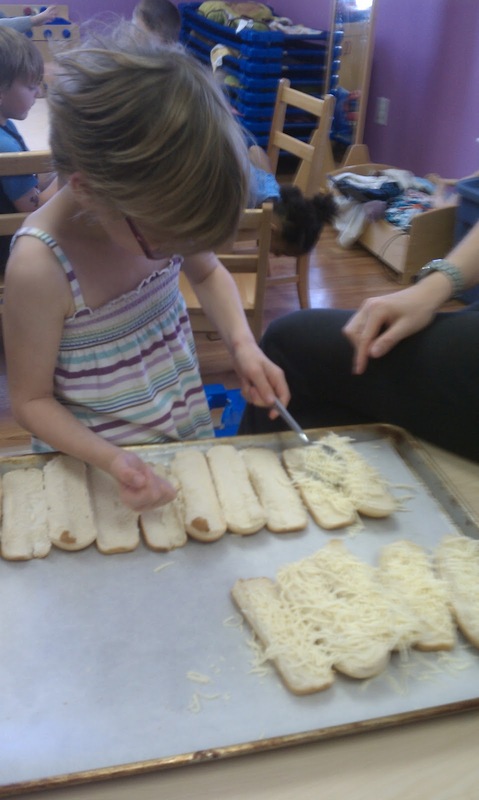 The children were really creative in the different ways that placed the pasta to make different types of flowers. After we had the knowledge we needed about flowers, we put it to the test by planting flowers in our very own flower bed out front! 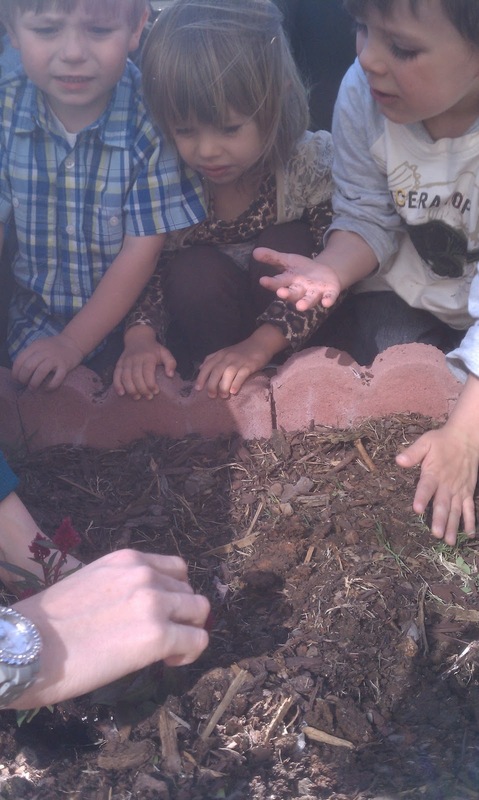 Each child got to plant a flower and they were so cute as they left that day showing their parents which flower was "theirs". Now, let's just hope Mrs. Christina can keep them water and looking good with her BROWN thumb! Even our cooking activity was all about flowers. 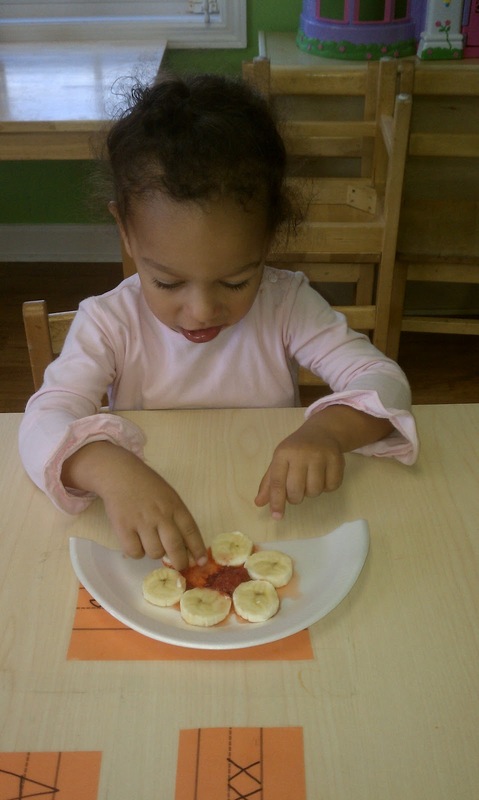 The children used banana and strawberry slices to shape them into flowers. They looked adorable and seemed to taste wonderful! For our letter of the week, j, the children made jellyfish! What a time of celebration! We are all so thankful for Jesus, who died on a cross for each of us. Sometimes we get so busy with the Easter bunny, lots of chocolate, and Easter egg hunts that we forget the true reason to celebrate Easter. We made beautiful crosses this week to keep our focus. We did have so much fun this week! 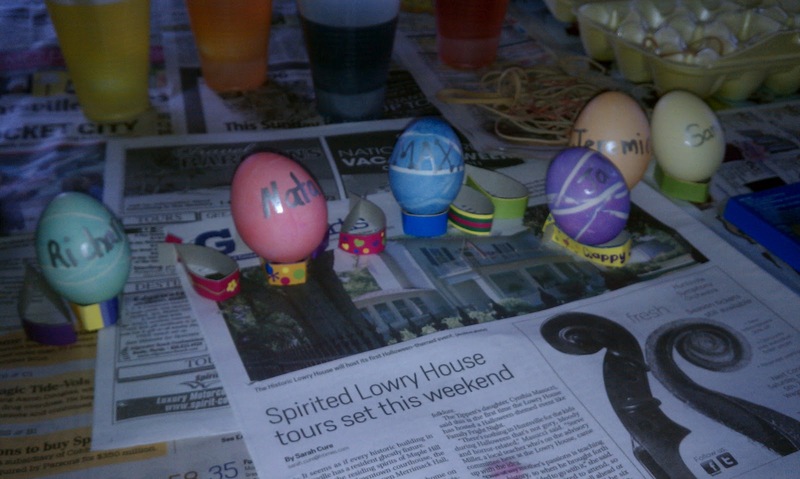 The children got to dye Easter eggs! We had some very unique ways to do Easter eggs including wrapping rubber bands around them. The children did a few activities with jelly beans as well. 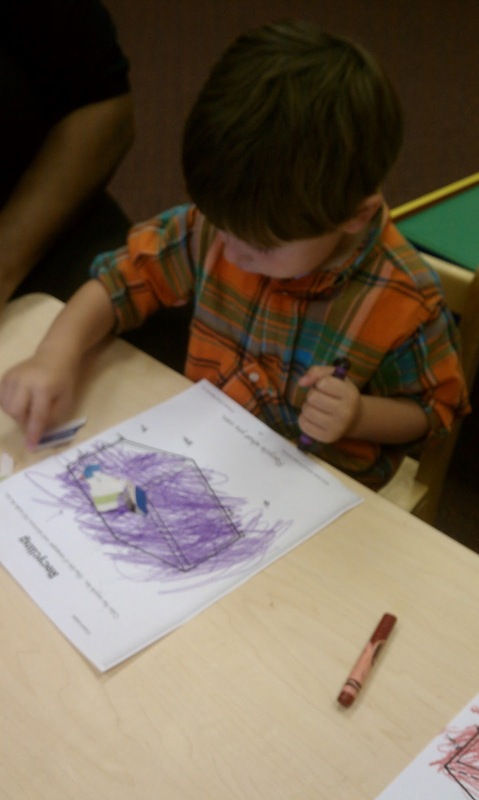 They estimated how many were in a container and then also sorted them out by colors. 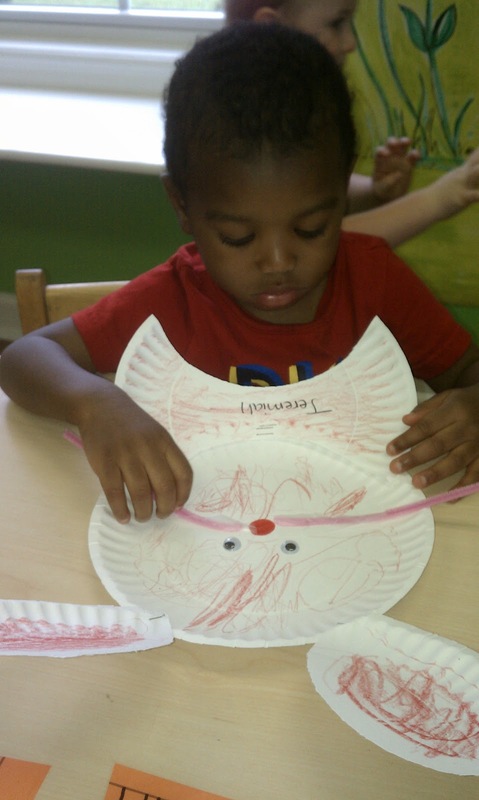 We also did several different activities with bunny rabbits! 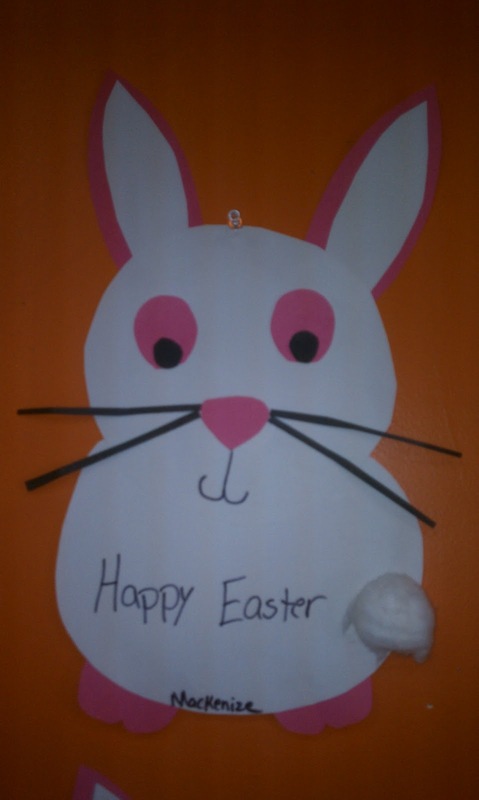 And of course, it wouldn't be right to not have an Easter Egg Hunt! The children were precious as they hunted Easter Eggs on our playground! 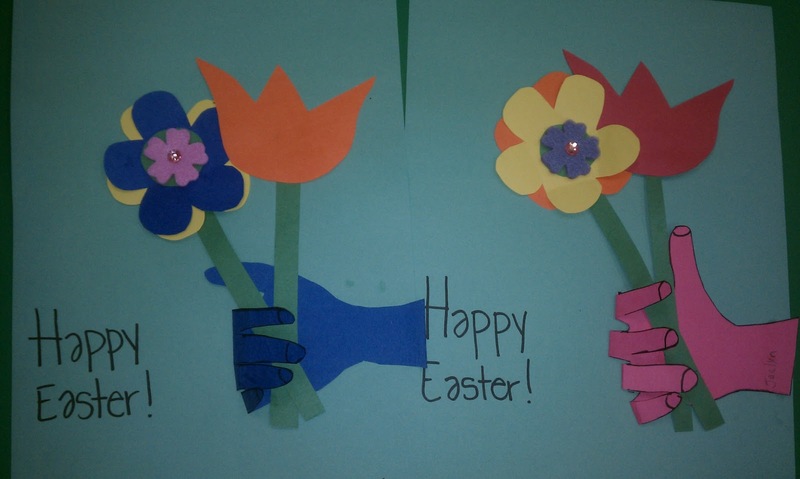 We hope everyone had a wonderful Easter and got to celebrate with family and friends! With the new season upon us, we had to learn about what the animals do once winter is over. We talked about all the different animals we see in the Spring. 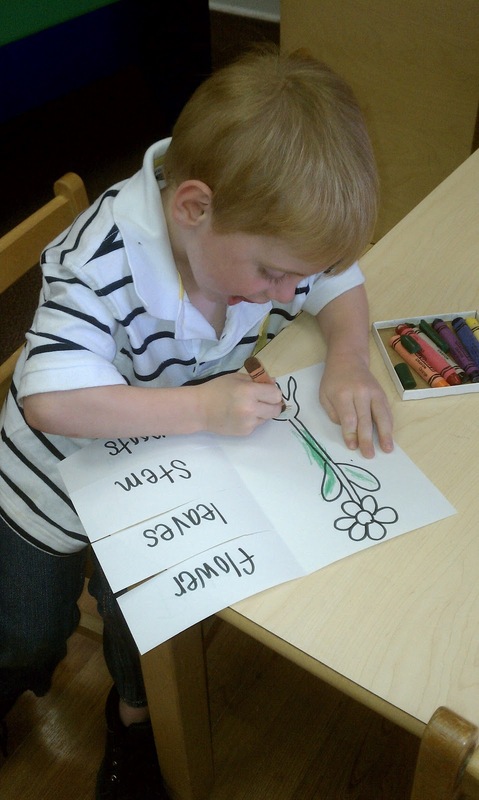 Some of the classes talked about their favorite Spring animal and then made a chart to show the results. 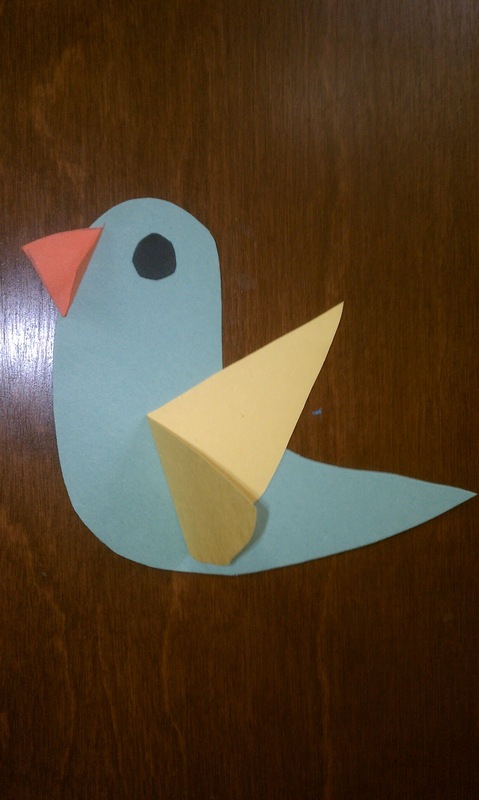 The children did several activities to learn more about birds. They made bird feeders to take home to attract birds to their house to watch. They also talked about the different types of beaks that birds have and why they are not all the same. 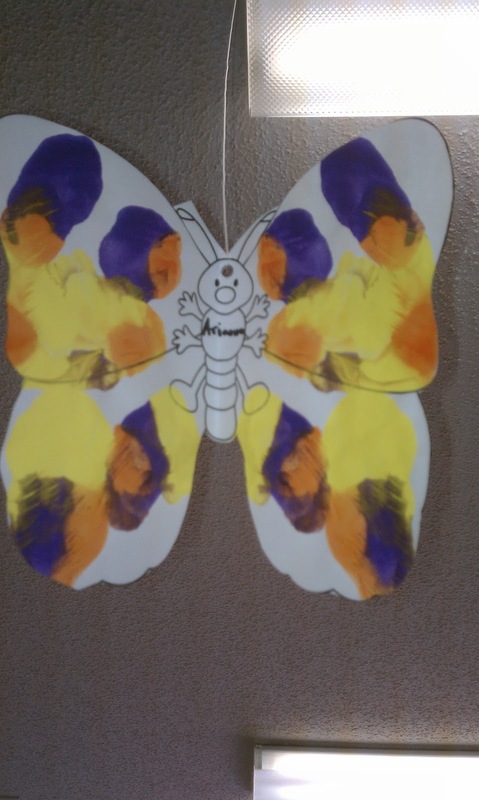 We also talked about frogs, chicks, and other fun spring animals! The 2 year olds made their own pond and made fish and ducks to decorate their room! 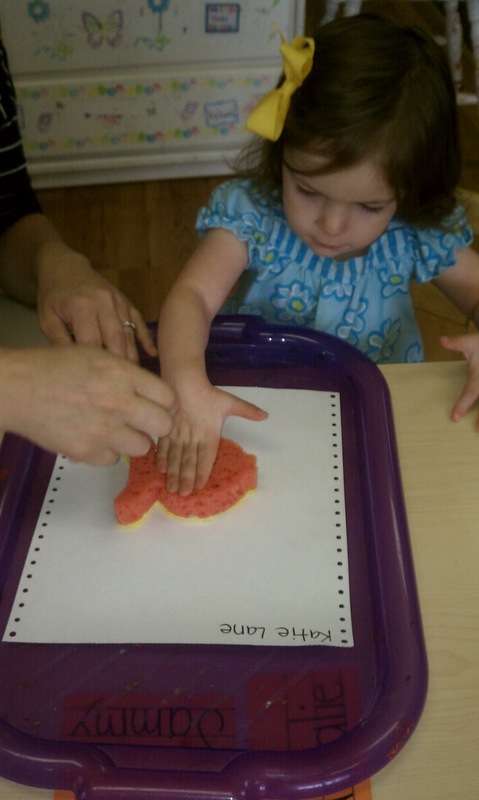 Our cooking project this week was all about the letter of the week- h! 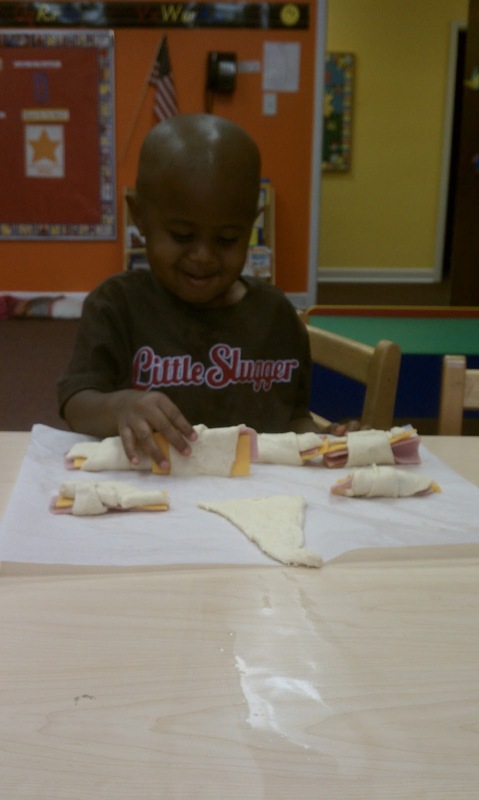 The children made Ham & Cheese Roll Ups! They were quite the hit!